Need help, preferably for free? A study by Stanford University found that on average students spend 3.1 hours on homework each night! With a workload like that, you’re bound to need help with assignments. Finding inexpensive tutors and resources can be expensive, especially on a student’s budget. Luckily, there is a ton of free homework help for busy students where you can get free tutoring online without having to pay. Some of these sites even offer free 24/7 online tutoring via chat. There are even a few that offer free homework help with no sign up requirement. Hippocampus.org offers free educational resources for students in middle school to college. The site includes multimedia content, like videos, animations, and simulations. You can find a lot of information at www.infoplease.com. It is a great resource and includes an atlas, encyclopedia, dictionary, thesaurus, videos, and more. Topics covered are current events, pop culture, science, government, history, and more. HomeworkSpot is a free homework information portal. The site also features real-world applications and case studies of what you are learning. Dive deeper into topics with Discovery Education. The site features interactive games, videos, contests, virtual labs, and activities. You can find an archive of webinars, as well free parent, teacher, and student resources on the site. Do you have to show your work? The site also has Webmath, a tool that generates answers to specific math questions and problems, as entered by the user. The math answers are generated and displayed instantly. Webmath also instructs the student on how to arrive at the answer. ThoughtCo provides in-depth articles and homework help. All the ThoughtCo lists and articles can help you save time and prevent stress. refdesk is a simple site with links to research tools, libraries, study guides, and strategies. It includes a database of all the newspapers in the world with links to their individual websites. The site will help you find daily comic strips that can be used to spice up a presentation or paper on current events. You can pretty much find resources for any topic here. From information on creative writing to weights and measurements, refdesk has got the goods. ClassBrain can connect you with a network of resources. It also features worksheets and puzzles, games and useful articles. Are you looking for an interactive online adventure in science and math? Then Edheads is the site for you. All the Edheads games and resources meet national and state standards. While the site does offer paid memberships, many of the activities and resources are free. Math & Reading Help offers help on many subjects. You can get homework help, find a tutor and improve skills with the resources the site features. If a quality resource doesn’t exist, let educators who run the site know, and they will create one. The site also features a free tool for creating a variety of graphs that can be used in reports to illustrate research. Most of the Chegg Study resources require a paid membership. But, the site does offer 30 minutes of free online tutoring and a free flashcard app. The Flashcards+ by Chegg app is a fast, fun and free. This app will help you study for your most difficult tests. It is only available on for iPhones. BJ Pinchbeck’s Homework Helper connects students to a variety of resources on a ton of topics. Not only does the site include information on math, science, and English, but it also provides resources for computer science, programming, health, social studies and physical education. Fact Monster has gathered useful information from all over the world into one place. The site includes a dictionary, encyclopedia, thesaurus, and almanac. The resources cover subjects like geography, history, language arts, math, science and social studies. The site can help you develop your skills in writing, researching, speaking, listening, and studying. When most people think of CliffsNotes, they think of literature guides. But, the CliffsNotes website offers study guides on everything from accounting to psychology to history. With 40 different subjects covered, the site can help you do a lot, like study for a math test, complete your American government homework and write a research paper on organic chemistry. This site is a great place to start almost any assignment. Having a hard time with a particular subject? Or, do you want to master a certain class? You can learn anything at Khan Academy. The subjects are broken down by grade. There are great sections for college students and adult learners. The best part of Khan Academy is its personalized dashboard. It allows you to set goals and learn at your own pace. The site has partnered with institutions like NASA, The Museum of Modern Art, The California Academy of Sciences, and MIT to offer specialized content. SchoolTrainer provides free homework help and one-on-one academic coaching in math, science, English, history, and psychology. You can submit a question to a tutor or check out the site’s free video library. The site also features a blog with information on resources, studying tips, and homework strategies. These are communities where most of the tutors are fellow students. Not all campuses are a part of the Quad network. But, if your campus is, Quad can help you organize all your assignments by automatically importing coursework and other information. The site also makes it easy to connect with classmates and discuss any course details or homework. It also helps you make all those pesky assignment due dates by sending you reminders. The best part of all is that Quad is absolutely free. It is also available on iOS and Android. Bored of Studies is the largest online student community in Australia. Membership is free and gives you access to a ton of academic resources. You can browse the site’s extensive database of more than 10,000 notes, guides, past papers, summaries and more. You can join students in the community forum. Jishka.com helps thousands of students every day. You post homework questions and get free help from certified tutors. Questions are usually answered within a couple of days. You can also search the site’s database for help in almost any subject and explore a variety of verified articles and links. For students. By students. That’s the Brainly motto. The site allows students to work together and solve homework problems. It has 100 million unique monthly users and more than 1,000 moderators. 8,000 questions are answered per hour on the site, which is available in more than 35 countries. These sites are dedicated to subjects revolving around math. So if you’re looking for free help with math homework, you can find great math tutors on these sites. The Homework Helper gives you step-by-step solutions to your addition and operations problems. The site contains worksheets, flashcards and math games, too. Need homework help on the go? Aplus Math offers dozens of free learning tool apps and test prep books for both Android and Apple devices. Varsity Tutors apps on iOS. Varsity Tutors apps ond Android. Any student who lives in Indiana has access to the Homework Hotline. Students can call 1-877-275-7673 to receive free math and science tutoring. The site features more than 500 student resources to browse, watch, read, and download. The Homework Hotline has 140 tutors on staff and the average call lasts 12 minutes. We all know math can be tricky. But, did you know there are actually math tricks? CuriousMath.com features tried and true old math tricks while stressing the most useful rules. If you struggle with pre-algebra, algebra, geometry, or precalculus, you’ll find help at Math.com. The colorful site includes formulas, tables, references and study tips. You can also take the practice quizzes to prepare for real tests. Algebra.com has free homework help, math tutors, problem solvers and lessons. Each section features calculators, lessons, and a place to submit questions for free math help from tutors. Most sections have archives with hundreds of problems already solved by the tutors. The system boasts 2,531 active tutors and has helped students solve 649,525 problems. Students preparing for the math part of the general GRE, THEA or ACCUPLACER test will love this site. You do not have to be a student at A&M to use any of the online tutorials and resources. The site includes helpful links, practice tests, test tips and strategies for approaching math. Daniel Bach, aka Dan, is a math teacher and textbook author. His love of math is contagious. You can even email Dan a math question to [email protected], and he will get back to you in his spare time. 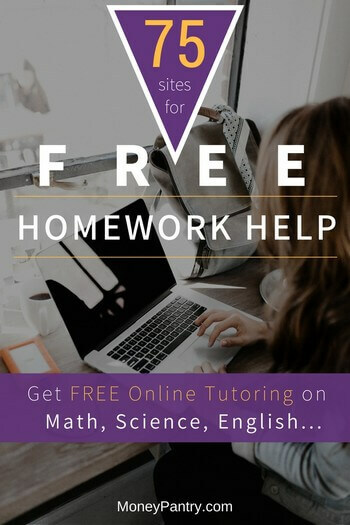 Everything at FreeMathHelp.com is completely free, but it is supported by advertising. Topics are broken down by subjects and games. The best feature of this site is the Mathway calculator embedded at the bottom of almost every page. The calculator has a drop-down menu that allows for you to customize it for your needs. This interactive calculator is a must-have for any math student. You can also access the Mathway calculator by visiting www.mathway.com or by downloading the app. Are you looking for what not to do in math? If so, The Most Common Errors in Undergraduate Mathematics in the site for you. It addresses errors made by teachers and students alike. From common errors in communications to notations, problems are spelled out and discussed at length. You can also find links to notes and other resources here. Textbook author Stan Brown has compiled entire textbooks as well as articles at BrownMath.com. Stan writes about both teaching and learning math. At www.onlinemathlearning.com, you will find online math help, math fun, and other useful resources. You can take practice tests, explore math by topic or grade, complete math worksheets, play games, prepare for exams and access tutoring services. Resources include questions and answers. Coolmath.com offers math for ages 13-100. The explanations are easy to grasp. The site covers topics like algebra, pre-calculus and more. It features a math dictionary, math survival guide, geometry and trig references, puzzles, quizzes and practice games. Math instructor Lawrence Spector built The Math Page, which features complete courses in arithmetic and algebra. The site also features information on the Pythagorean theorem, trigonometry, precalculus, calculus and the evolution of real numbers. Did you need a specific calculator to solve your math problem? With more than 21,000 calculators and spreadsheets, Martindale’s Online Center probably has it. The site also contains more than 4,000 course, lectures, manuals and handbooks, and thousands of videos, simulations, and animations. Looking for a quick way to execute conversions? OnlineConversion.com can help you convert just about anything to anything else. 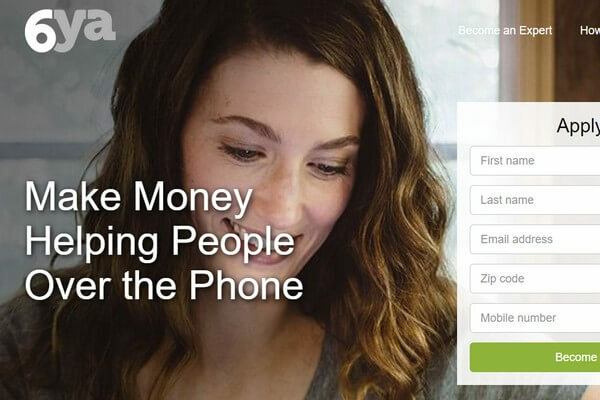 It includes thousands of units and millions of conversions. S.O.S. Mathematics was built for high school, college students and adult learners. It contains 2,500 math pages filled with short and easy-to-understand answers. Some people are visual learners. Thankfully, those students can view videos of teachers solving math problems on whiteboards at MathTV.com. StudyGeek wants you to be confident when it comes to your mathematical abilities. It offers free online help in almost every math subject. You can work with a tutor in an online tutoring session or explore informative learning resources. Need help with your research papers? Try these sites for free help. The Purdue Online Writing Lab offers 200 free resources for writing, research, grammar, and editing. Information on developing a resume. Non-Purdue instructors and students are allowed to use the site. The Guide to Grammar and Writing contains several drop-down menus for you to explore. The site can help you with word and sentence structure, essay writing, research, grammar, and more. Need help with sentence variety? You’ll find it here. Having trouble developing your thesis? Check out this site. GrammarBook.com is based on The Blue Book of Grammar and Punctuation. It is helpful when you want to study English rules, take online quizzes and review real-world examples. The site also covers grammar and punctuation rules. You can stay informed by signing up for the site’s free newsletter. A free virtual library resource center for educators, LibrarySpot is a great place for research. The resources featured on LibrarySpot.com are reviewed by its editorial team. The site is designed to make finding the best information easy and enjoyable. The site can help you understand books, write papers, and study for tests. The information is clear and concise, with only the most important info. SparkNotes Guides contain summaries and analyses for more than 500 English literature topics, including Shakespeare. It also has guides for history, math, biology, and other subjects. Its online flashcards will help you learn biology, history, literature, and SAT and ACT vocabulary. The Library of Congress Digital Collections can provide a variety of sources for many assignments, especially essays, presentations, and papers. The collection includes manuscripts, prints, photographs, music, rare books, interviews, maps and more. The site covers 66 subjects like art, African American history, religion, war posters, and writings. You can definitely get your research done here. Forget all the other dictionaries out there. OneLook is an index of 18,955,870 words found in 1061 dictionaries. Not only can you find definitions, but you can also find words and information related to your search. Does your teacher keep asking you to expand your vocabulary? Thesaurus.com can help you do just that. Search your simple words to find synonyms with punch and jazz up your papers. The World Factbook is compiled and maintained by the CIA. It provides information on the history, people, government, economy, geography, communications, transportation, military, and issues for 267 world entities. It is a great reference for physical, political and time zone maps of the major world regions. You can also find up-to-date information on all flags of the world here. Learn from the mistakes of others at this Washington State University site, Common Errors in English Usage. The site does not deal with grammar in general. Instead, it lists common mistakes from A to Z. The site also features an active podcast. You can save hours of work by generating citations automatically with EasyBib. The site helps you cite websites, books, videos, journals, databases and much more. If you have the ISBN numbers, you can enter each of your sources by their numbers and OttoBib will generate an entire bibliography for you. Need help writing that research paper? Research Guide is here to save the day. The site contains some of the best resources for literary research and the latest style guides for footnoting, referencing and bibliographies. You can search in-depth resources for key literary works or visit the Ask and Answer section to submit your research questions. The History Place wants to help you write a better history paper. If you run into trouble while researching, librarians can be a great resource. The Library of Congress gives you the opportunity to use an online form and Ask a Librarian for help. Forms are included for many topics like business, law, local history, poetry, and literature. The librarians can also help you find sources and format your papers correctly. Bartleby is the preeminent internet publisher of literature and reference books. The publisher grants students, researchers and everyone else unlimited access to books and information in its Great Books portal. You can browse featured collections and authors or search for a specific book by title, author or subject. The Physics Classroom was developed for beginning physics students and their teachers. The site features tutorials, interactive modules, concept builders and multimedia studios. HyperPhysics is hosted by Georgia State University. It includes diagrams and charts to help you better understand physics. The site also features video demos, focused applications, example problems, and tables. Do you want to see physics in motion? The site also features diagrams, images, and other physics resources. Are you learning about the Periodic Table? If so, Ptable can help. You can view the table by properties, orbitals, isotopes, and compounds. This interactive tool will get you better acquainted with the weight, names, and electrons of these elements. Want to ask a scientist a question? Just hop on the SciNetwork. You can explore an archive of more than 36,000 questions or pose a question of your own. You didn’t think we were gonna forget about apps, did you? After all, if you can think it, there is probably an app for it! Take pictures of typed equations, and Photomath outputs step-by-step solutions. You scan the math problem for instant results! You can also edit math problems with the smart calculator. Slader offers step-by-step solutions to questions in popular textbooks ranging from middle school to college. The app is ad-supported, but you can get rid of those for $1.99 a month. Slader is only available in the App Store for iOS devices. Take a photo of your homework question and get instant explanations, graphs, videos, and help with the Socratic app. It is totally free, and there are no in-app purchases. The app also allows you to see who’s online, chat with classmates, and send questions to friends. 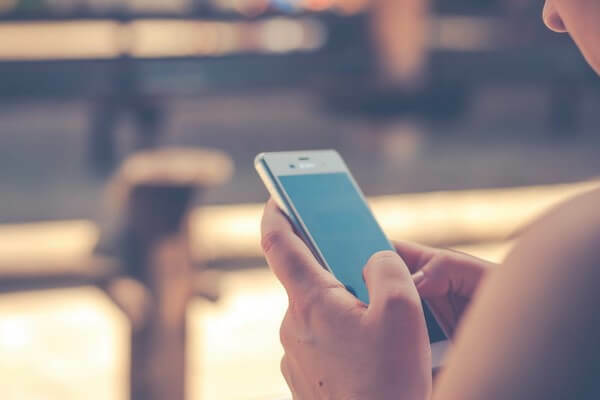 The Got It Study app connects you with experts in seconds. It is a photo math equation solver. You snap a photo of your Algebra, Geometry, Trig, Calculus, Physics, Chemistry, ACT or SAT problem to reveal detailed explanations. You can also contact a qualified tutor for an interactive, 10-minute session. If you need more than ten minutes, you can ask for an extra 10-minutes of tutoring time for free. The yHomework app gives you full step-by-step solutions and explanations to a variety of Algebra related homework. The Homework Help For Students app also lets you snap a photo of your question to find instructions, video tutorials, and answers. The app allows you to save time by having the answers and youtube video tutorials sent right to your phone. The Yup Homework Help app provides homework help for math, chemistry, and physics anytime and anywhere. You can connect with expert tutors 24/7 for academic support. The service does have a subscription fee but you can sign up for a free trial to start receiving tutoring. You can cancel anytime, but if you don’t cancel before the trial ends, you will be charged until you unsubscribe. ManyTutors will answer your math and science questions for free. Snap photo of the homework question. There are no limits to the number of questions you can ask or view. This app works great for revising answers and finishing your homework. Love reading but want to get better at it? These are the sites you can turn to when you need help with reading but don’t want (or have the money) to pay for tutors. By the way, for the frugal book lover in you, don’t forget to read our list of sites where you can download free books. Reading Rockets aims to provide information for young readers and parents. The multimedia literacy initiative includes PBS programs and reading topics from A to Z. You can also find research and reports, free reading guides and other reading resources here. Dr. Bruce Murray is the Reading Genie – an associate professor of Reading Education. He bases his reading instructions on science and created this database to ease those learning to read into reading and spelling. It includes lessons, books, materials, and resources. Need help with learning how to learn? Try these sites for awesome free help. Maybe you need help learning how to learn. If so, Study Guides and Strategies is the site for you. It explores different learning styles and possibilities while helping you harness the power of your brain. The site also features effective study habits, guidelines for collaborative learning and approaches to conflict resolution. HowtoStudy.org contains the latest study strategies and writing techniques. You can get hints and tips for passing exams and conquering papers. The site can help you prepare and set goals, get information, work with the information you have gathered and take tests without anxiety. If you know you need to improve your study skills, head on over to How-to-Study.com. You’ll find more than 100 practical articles on studying skills and habits. The site also features lots of free online assessments. So, learning proper note taking, studying and test-taking strategies are important. That’s where TestTakingTips.com comes in. The site provides best practices and tips for taking notes, completing tests, and reducing test anxiety. Study Skills Online can help you with time management and study strategies. The Study Guide Zone features study tips and practice questions. You can read about cramming for tests, taking essay exams, tackling word problems and communicating with your teacher. The site also offers advice for concentration, memorization, comprehension and study habits. What websites do you use for free homework help?